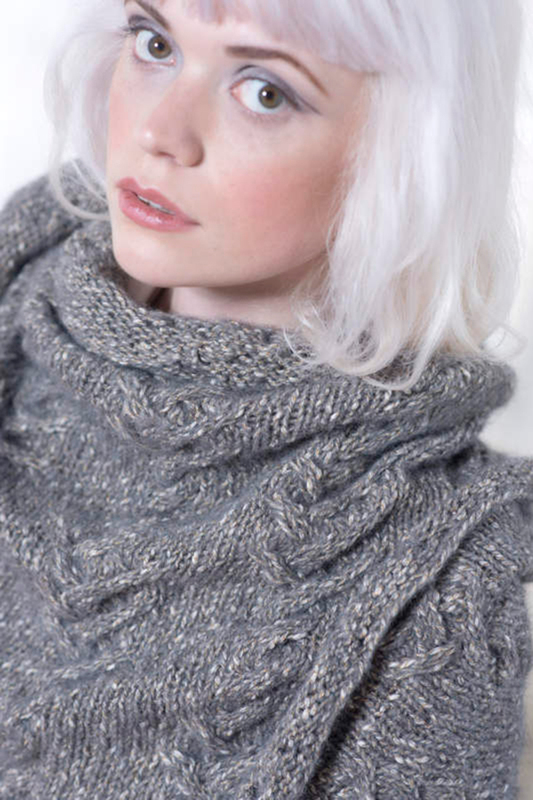 A unique cable pattern adorns this triangular shawl knitting pattern, knit from the center point up and out. Stitch pattern is charted. Colors Shown: Berroco Brielle (50 grs): 6 hanks #6506 Gris. Finished measurements : Approximately 80" across top x 30" down center. 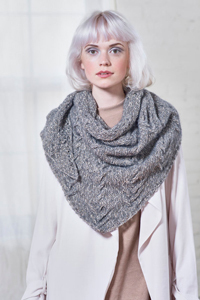 Berroco Booklet 400 Mercado Patterns - Pilot - PDF DOWNLOAD and Renegade Knitwear Patterns - In the Great Basin - PDF DOWNLOAD are both similar patterns: shawls, wraps, ponchos garment, for unisex, and heavy worsted/aran (16-18 sts/4 in) yarn gauge.